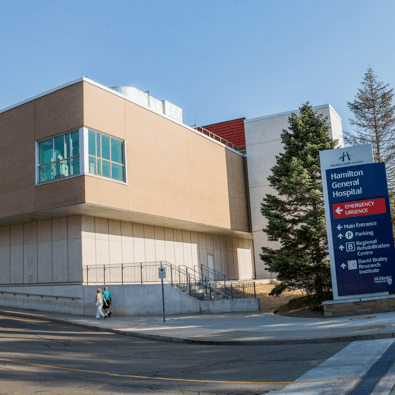 The Burn Trauma Unit (BTU) at Hamilton General Hospital is the go-to treatment centre for adults and children in our region who need hospital care for serious burns and burn-related injuries. The BTU team is specially trained to provide care for patients across their journey, from emergency burn care to follow-up care in our outpatient clinic. Patients and their family members decide who can visit them in the Burn Trauma Unit. We ask that only two visitors visit at a time. If more than two visitors are needed at one time, please speak with a member of your healthcare team. The BTU can be a frightening experience for a child, and so we ask that all children are accompanied by an adult during their visit. Please talk with a member of your healthcare team so that we can help you plan your visit. To prevent the spread of infection to our patients, fresh or potted flowers are not permitted in the BTU. We ask that each patient have one member of their family or support group act as a spokesperson. Your designated spokesperson will be the only person allowed to receive information about your condition. They can then pass this information on to others you wish to share it with. We ask that you do not visit between 2:00 p.m. and 4:00 p.m. to allow patients to rest and heal. If the patient is in a critical care room, we ask that you do not visit between 7:00 p.m. and 8:00 p.m.